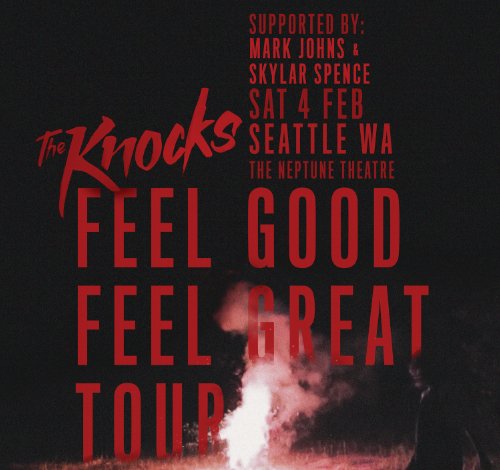 STG Presents The Knocks “Feel Good, Feel Great” tour at the Neptune Theater on Saturday, February 4th! The Knocks are starting the new year strong with their infectious new single “Trouble” which serves as the first single from the duo’s forthcoming EP “Testify”. ‘Testify’ arrives off the heels of their debut album, ‘55’ which arrived last year to critical acclaim worldwide. 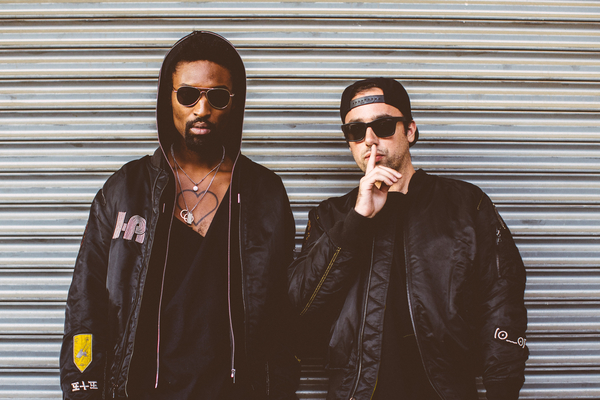 2016 was a breakout year for The Knocks, which saw them selling out headlining shows, direct support on Justin Bieber’s European leg of his Purpose tour and delivering critically acclaimed performances. The Knocks are a New York story through & through, first meeting at age 19 in a studio at the New School. Ben “B-Roc” Ruttner DJ’d clubs while James “JPatt” Patterson played the organ at a church outside the city. In 2008, JPatt and B-Roc took out a loan and opened the HeavyRoc studio at 55 Chrystie, in the same broken-down building where the Beastie Boys used to rehearse. The duo’s already become synonymous with warm, retro-future, disco production and “TESTIFY” EP aims to expand on that, taking The Knocks to the next level.